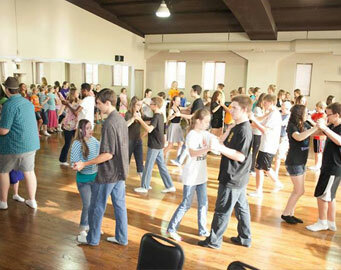 Simply Ballroom provides group classes for kids ten years and older. Students learn the fundamentals of dance, including posture, musical timing, technique, patterns and lead and follow. Dances taught are Waltz, Foxtrot, Tango, Cha Cha, Rumba, Bolero, Swing, Mambo. No partner is necessary to join. Please register online before classes start.